Today’s Flash Back Friday comes from Episode 61, originally published in November 2011. Jason Hartman interviews director and co-executive producer Phil Leirness, about the incredible journey into conspiracy theories with Dean Haglund to create the documentary, The Truth is Out There. 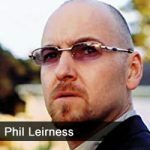 Phil talks about one thing that really resonated with him – on the one hand, there is no such thing as a conspiracy, that it’s just business as usual, while on the other hand, everything in the world is a conspiracy. Phil Leirness likes making films about things that make him angry, but how about finding out how these things that make us angry can work for us? Does the word “conspiracy” have to have negative connotations? Thus the idea for the documentary was born. Phil found that the word is most often used to marginalize the people that are trying to tell us something is happening that isn’t particularly good for us as a collective.